Whether your move is cross-country or cross-town, let McColly Real Estate's accredited Relocation & Referral Services Department assist you. McColly Real Estate has been helping people relocate since 1974. Our relocation & referral service team is devoted to ensuring a successful move for you. Our experienced relocation team will provide you with high-quality, personalized service.  The McColly Real Estate Relocation & Referral Services is affiliated with the Leading Real Estate Companies of the World® network (formerly RELO) to bring you the highest standard of quality service available. Deborah began her real estate career in 1991 with McColly Real Estate as a sales associate and she joined the Relocation Department in 1997 assisting the Relocation Director. In 2000, she became Director of Relocation. Deborah holds a Brokers license and earned CRP, RCC designations and At Home with Diversity: One America Certification. Deborah's philosophy is that the Relocation & Referral Services Department exists to generate additional business for McColly's sales team and provide the best possible service to our clients and customers. By defining the needs of the customer and client, along with an educated sales team providing top quality customer service to meet those needs, we are accomplishing our goals and setting higher standards. Our affiliation with the Leading Real Estate Companies of the World® National and Global Home Search network creates a significantly larger pool of qualified buyers and sellers.